When we went to the farm for Christmas the Christmas Cactus in the front porch area would be blooming some years to greet us. They are absolutely breathtaking in full bloom. Happy Holidays to all! 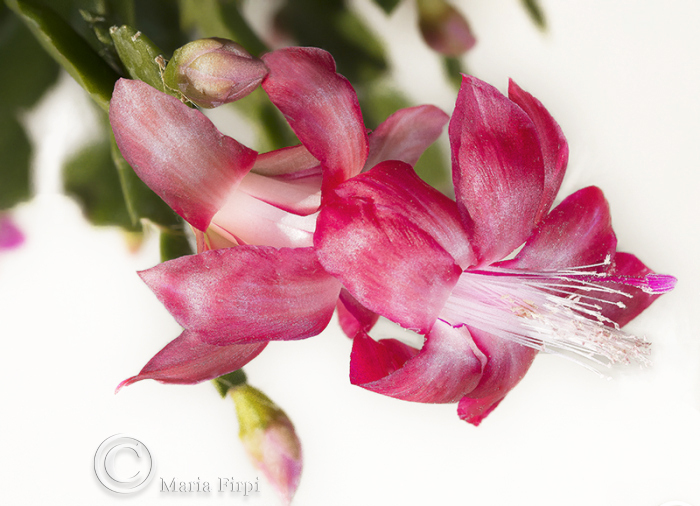 I will be back shortly with the Pinwheel Flower’s corrugated cultivar form, but I was interested in posting about the Christmas Flower Cactus plant because I was able to acquire a flowering specimen, and was amazed to see the flower in full bloom for the first time. Contrary to my beliefs, these cacti are exclusive to Brazil’s coastal mountain forests. Thanks for reblogging! The plant I bought is full of buds, so I’m hoping it will bloom correctly. Thanks for re-blogging and Merry X-mas! By the way I love your blog. It’s so full of wisdom, and easy to read and learn from! Thanks so much for your blog! You are welcome and thank you Maria. The cactus at the farm bloomed erratically at times. Such a striking plant Ivon. They are. Merry Christmas David and all the best in the New Year.